I like trying to paint cold, winter scenes with warm colours- here the pink and purple hues suggest sunrise is imminent. 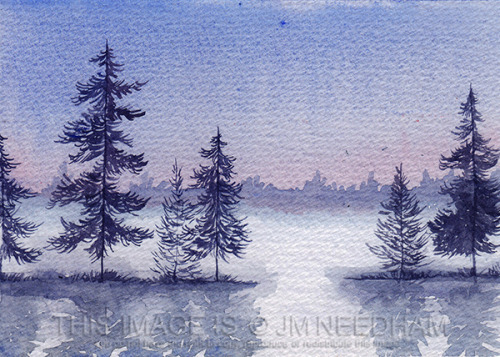 Delicate pine trees are silhouetted against the mist. Buy this as a greetings card on Redbubble!